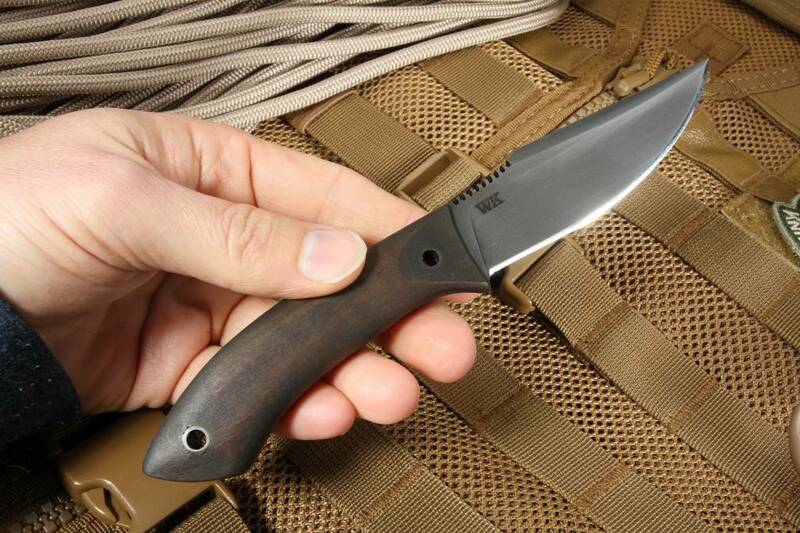 The Jager knife is from the popular new series designed by Jason Knight. 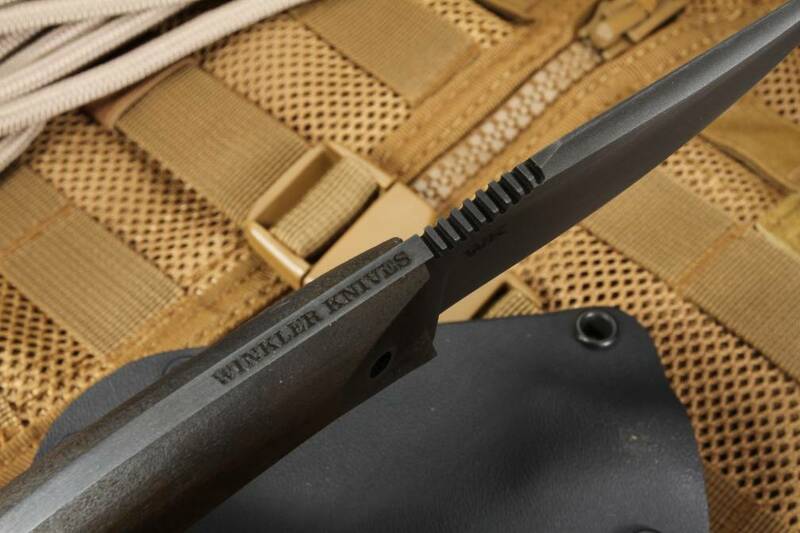 Made by Winkler Knives, this knife is entirely American made and with its size and features makes the perfect hunting knife, a good thing since the word jager means hunter in German. But don't let the name restrict you because this fixed blade knife has tactical and practical features that are sure to make it one of your favorite go-to knives for any job. With a blade length of 3.5 inches, the beautifully curved belly of the knife comes to a sharp point creating a cutting surface that can handle skinning as well as any puncture work needed in the field. 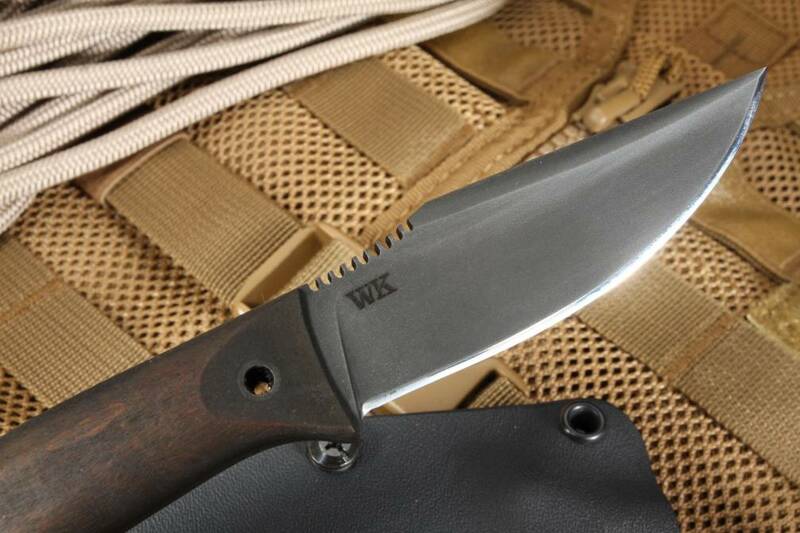 The blade is made of 80CRV2 high carbon tool steel, one of the best materials on the market, known for its strength, hardness, and excellent edge retention. This tough material will not bend or break as you put it through its paces. And the no-glare finish gives the user an added tactical advantage when stealth is required. To create the no-glare finish, the steel used in the blade is not stainless and will wear with use, creating an antique appearance or patina. Remember to clean and oil the blade after each use. To create a perfectly balanced knife, the tang is fully skeletonized, which also allows for more force to be leveraged through the handle, useful when cutting through hard materials. 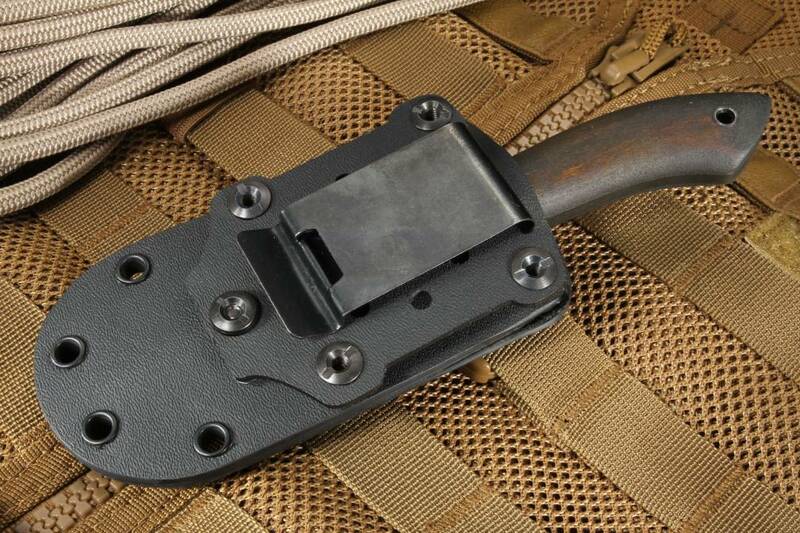 It also creates a sturdy handle with some heft that acts as an excellent tool for percussive work in combat or field dressing work. The handle is curved to fit your hand and made from premium maple wood. 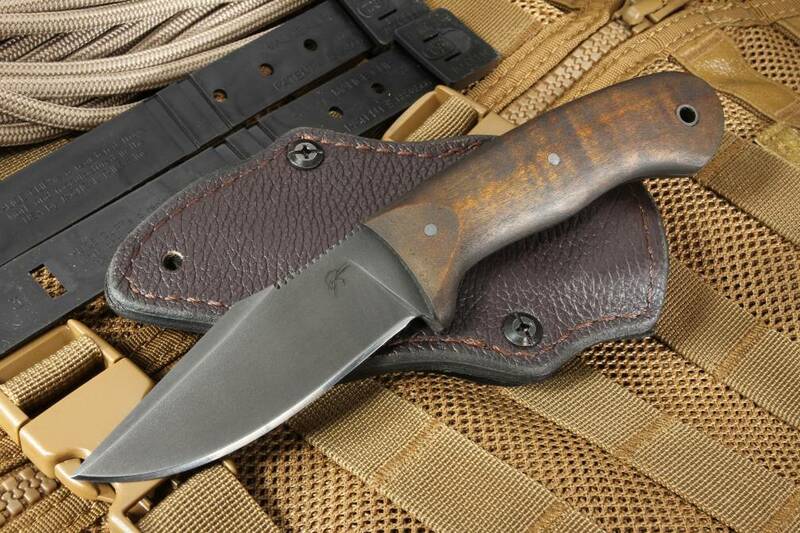 The knife comes with a Kydex and leather sheath lined to keep the blade protected and designed for multiple carry options. 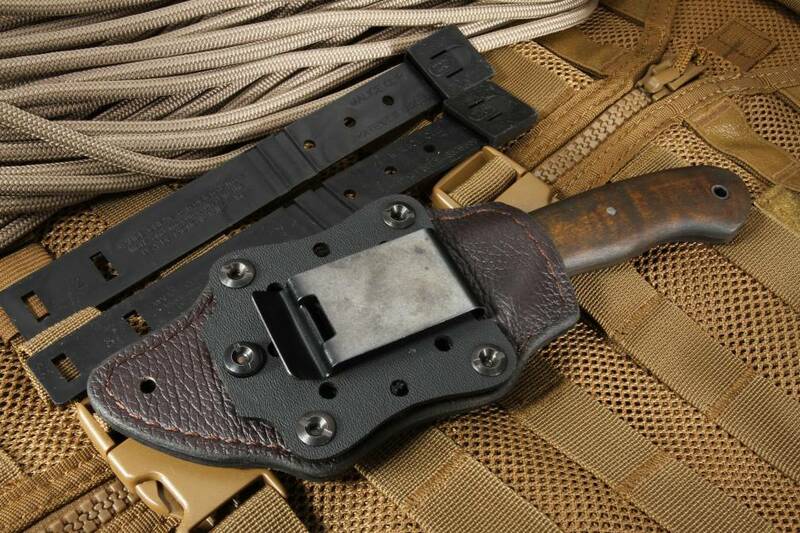 It can be worn vertically or horizontally, for a right- or left-hand draw using the spring steel belt clip. 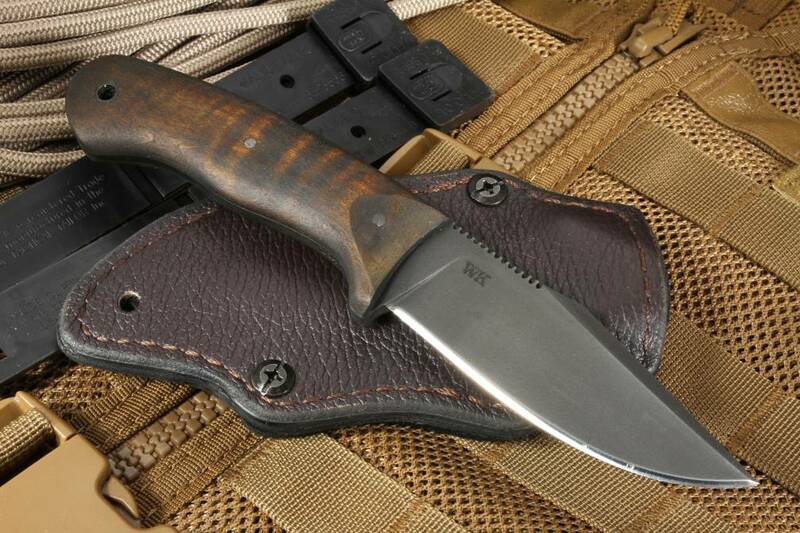 I have owned and own a number for very nice custom knives and I must say that this Winkler is very nice quality. 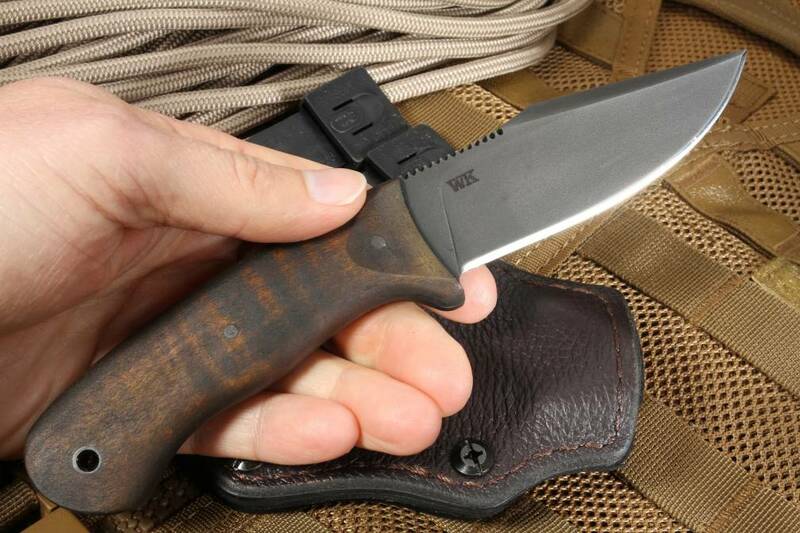 My plan for this knife is going to be my go-to backwoods hiking knife. I have large hands (Palm a basketball) and this knife fits perfectly, with that being said, its a tad small side but that was what I was looking for.